Green Shell offers services to residential, commercial, industrial or anywhere else there is a need for building and environmental services. From small buildings and lots to large complexes, Green Shell can help with air, water or land environmental issues. The markets we serve and our clients are as diverse as our experience. From developers to lawyers, public adjusters to homeowners, our client base is extremely varied. Due to our comprehensive service offerings, almost anyone could be a client of Green Shell Consulting. In addition, no geographic limits are in place. Our principals have performed work as far away as New York and Texas, while being based out of South Florida. 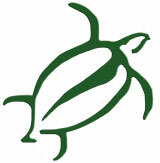 Green Shell Consulting, LLC. All Rights Reserved.